President and Executive Director Lisa K. Kitchens was the founder and former Shelter Director at Wish Bone Canine Rescue in Bloomington IL. Lisa has worked in the animal care field her entire adult life; first as a retail pet supply store manager, then as a Veterinary Assistant. After attending North Dakota State University, she worked for over 13 years as Lead Veterinary Technician at a busy local four-doctor practice. While working as a Vet Tech, she founded Wish Bone Canine Rescue as the very first no-kill rescue organization in Bloomington. After two years of explosive growth at Wish Bone, Lisa was hired as full-time Shelter Director, opening its first physical shelter on Morrissey Drive which is still in operation today. 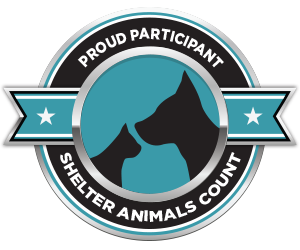 While leading WBCR, Lisa also earned a certificate in Animal Shelter Management from the University of the Pacific. This Lifesaving-Centered Program is taught by top experts in the animal welfare field. Lisa lives with four rescue dogs and a senior cat. She and her three-legged Dalmatian and CGC Therapy Dog ‘“Flash” enjoy visiting local schools and assisted living facilities. Flash enjoys accompanying Lisa to work. Jennifer McPherson is the Vice President of Pet Central Helps! 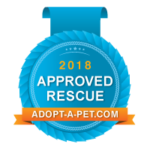 and has been involved in rescue for over 11 years when she adopted her first rescue pet, Bailey an Airedale terrier, who recently passed this year. She was volunteer coordinator with Wish Bone Canine Rescue for 3 years. She helped with intakes, vaccination clinics, adoptions and special events. She works at Country Financial as a ITS business analyst and has been there for 21 years. She has lived in Bloomington/Normal her whole life. She has a son who is 10 and a daughter who is 12. Bailey recently passed away but she has a Wishbone alumni rescue that she fostered and adopted named Jingles. Her son is autistic and having animals in their home helps him tremendously. He sometimes helps at events and even talks to people about the animals. She has seen first hand how animals help people. Jennifer has a passion for rescue and helping the community. Secretary Diana Flynn is a kind and caring person who loves pets and people. Diana and her husband have 2 grown daughters. Her family also includes two Miniature Schnauzers Annie (11) and Lucy (2) who are spoiled and sweet at the same time. Lucy was adopted from Wish Bone Canine Rescue in 2015. Diana and her family worked to support Wish Bone and have adopted several other rescue dogs. Diana has worked at The Human Service Center (HSC) in Peoria for 11 years. 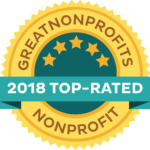 HSC is a non-profit behavioral healthcare company providing mental health and substance abuse services to the community. Diana assists the director and is responsible for board meeting minutes. Prior to working at HSC, Diana was employed providing office support at a computer business owned by her husband. Diana is very excited to be a part of Pet Central Helps!